With this money-saving bundle, keeping your gym clean and tidy has never been easier. 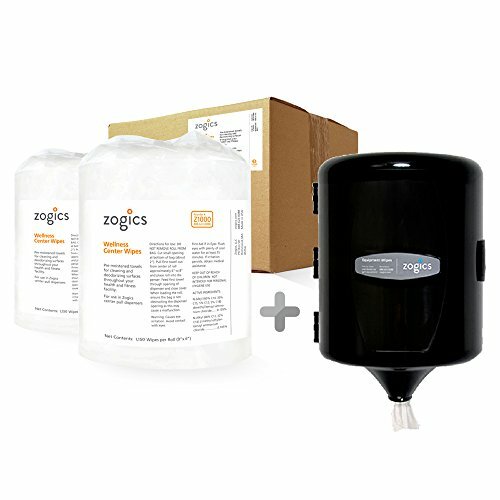 You'll save on our bestselling Wellness Center Wipes and our Wall Mounted Gym Wipes Dispenser. Wellness Center Wipes combine the cleaning strength your fitness facility needs, with a price that wont hurt your budget. These wipes are pre-saturated with Quaternary disinfectant, and free of any alcohol, phenol, and bleach, making them an effective way to clean, sanitize, and deodorize germs and bacteria. Rolls measure at 9" x 8.5", while individual wipes measure 9" x 6", making them easy for single hand use. . The other half of this duo is our Wall Mounted Wipes Dispenser. Upscale, attractive, and durable, our wall-mounted gym wipe dispensers are the perfect delivery system for our pre-moistened gym equipment wipes. You'll love this sleek model because it's easy to refill and install. This no-touch dispenser is also hygienic, and will help you cut down on germs, providing a healthier environment for your members. Plus you can adjust the dispensing tension so that members don't unintentionally take more equipment wipes than needed, keeping your costs down and guests happy.